Although Medicare Part B Premiums have remained stable for several years, nearly a third of the roughly 50 million elderly Americans who depend on Medicare for their physician care and other health services could see their premiums jump by 52 percent or more next year. Many are wondering: Will your Part B Premiums go up in 2016? The “Doc Fix” bill that passed earlier this year requires leveling of Part B costs paid by beneficiaries. This is the same bill that eliminates Medicare Supplement Plan F policies for new enrollees after the year 2020. You can view the Medicare 2015 Trustee Report here and jump to page 209 to see the Part B rate tables. Not everyone will be affected by the rate change, but up to 15 million Medicare Beneficiaries could be affected. Because Social Security will not increase the cost of living benefit next year, simply because the Consumer Price Index used by the government has remained relatively flat, this increase will not affect those beneficiaries who have their Part B premiums taken out of their Social Security check. Why? There is a provision in the Social Security Act that does not allow Medicare beneficiaries to have any costs passed on to them if there is no Cost of Living Adjustment (COLA) to cover that increased premium. 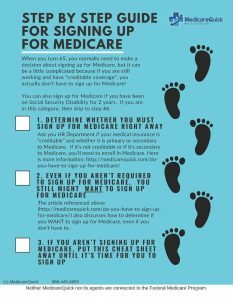 However, this is not the case for those people who do not receive Social Security Benefits or do not have their Medicare Part B premiums deducted from those checks. About 70% of the 50 million Medicare recipients do have those premiums deducted from their Social Security checks, so those beneficiaries’ premiums will remain stable at $104.90 this year. This premium increase will mostly affect those people who have chosen to hold off on taking Social Security retirement payments, either because they are still working, or because they are utilizing social security maximization techniques. So if you are either not receiving social security benefits, or a high income earner, brace yourself for higher Part B premiums in 2016, unless Congress or Health and Human Services does something about it.